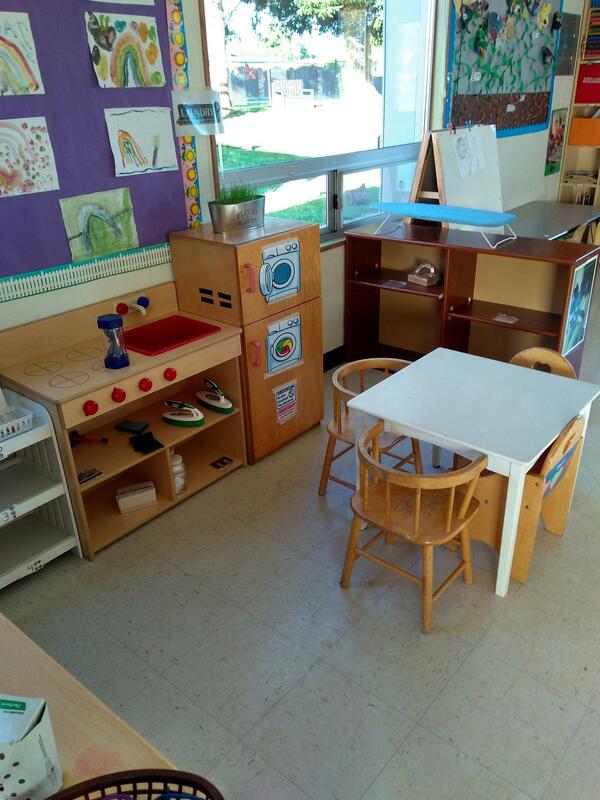 We have a large open classroom and our owe fenced play yard with green space. 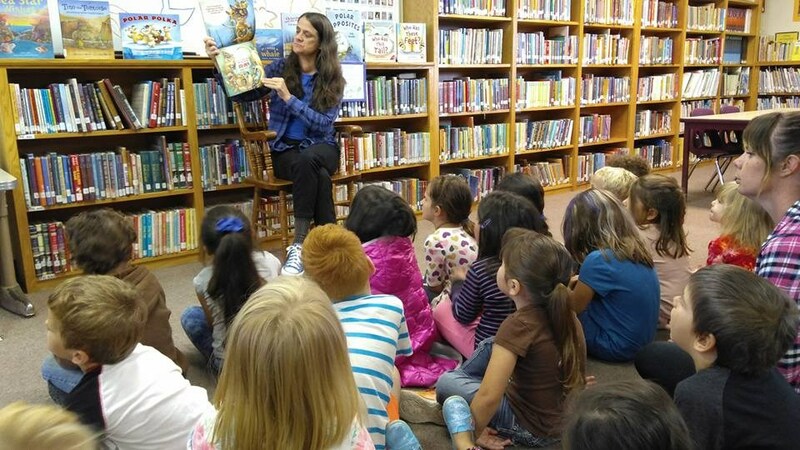 We share the school library, dance room, and attend assemblies in the elementary school cafeteria. 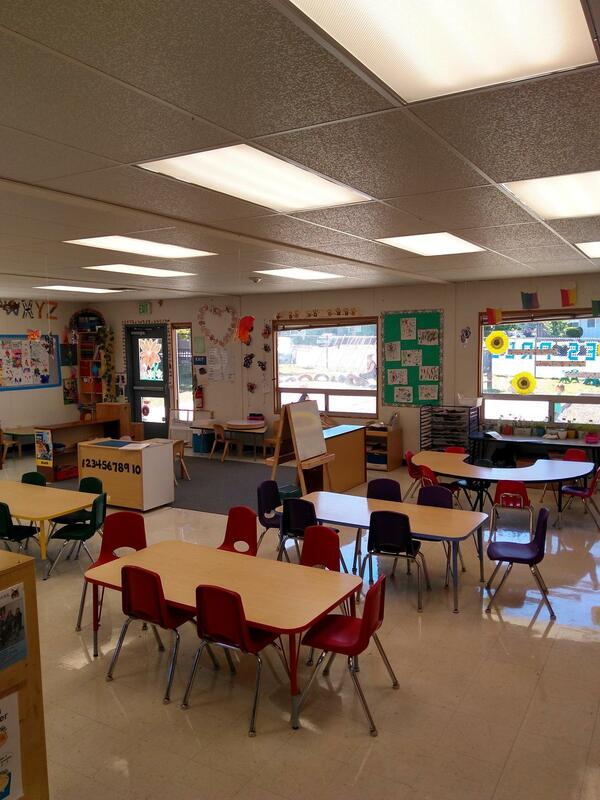 We use this space for our daily large group time. 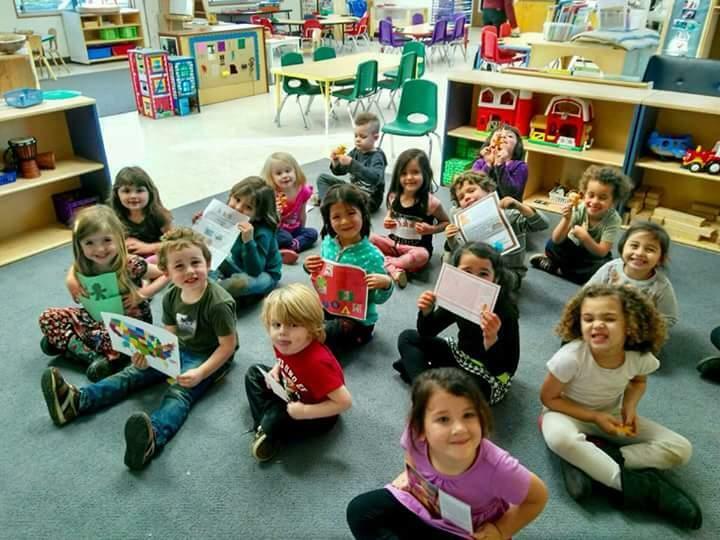 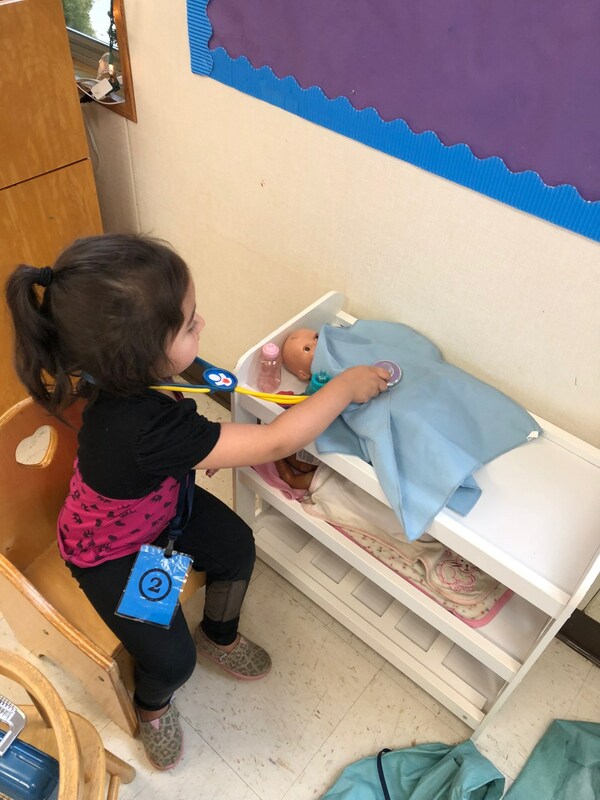 We can be seen dancing, singing, reading books, felt stories, counting, discovering science, sharing weekend news, doing the calendar, pre-reading games, and so much more. 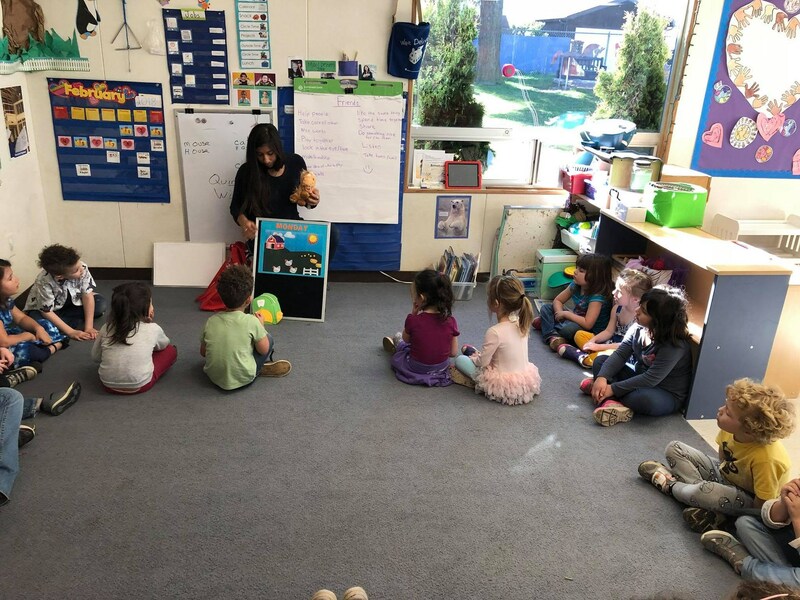 Circle time is a great way for preschoolers to get a sense of community with other kids their age and enhance their social skills and improve their attention span. 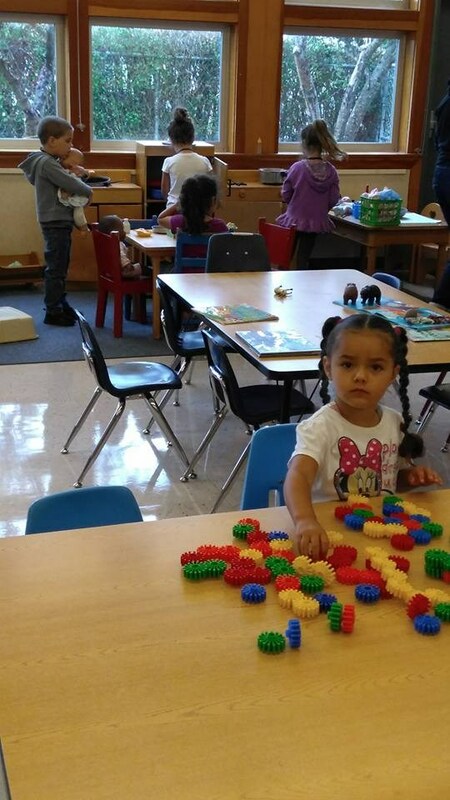 Children discover colors, textures, cause and effect, and many STEAM activities in our Science center. 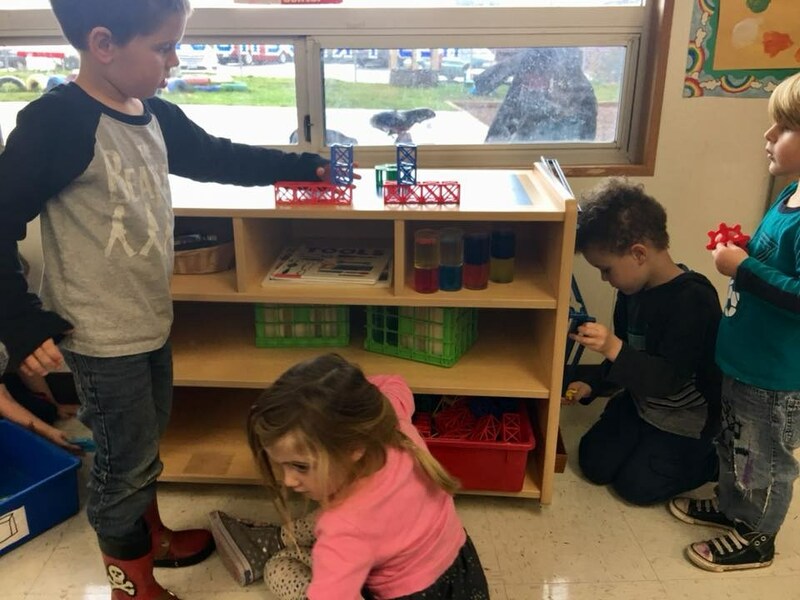 We rotate seasonal discoveries (leaves, flowers, shells, seeds) as well as physical science (does it roll, how far can it roll, is it magnetic, and many more). 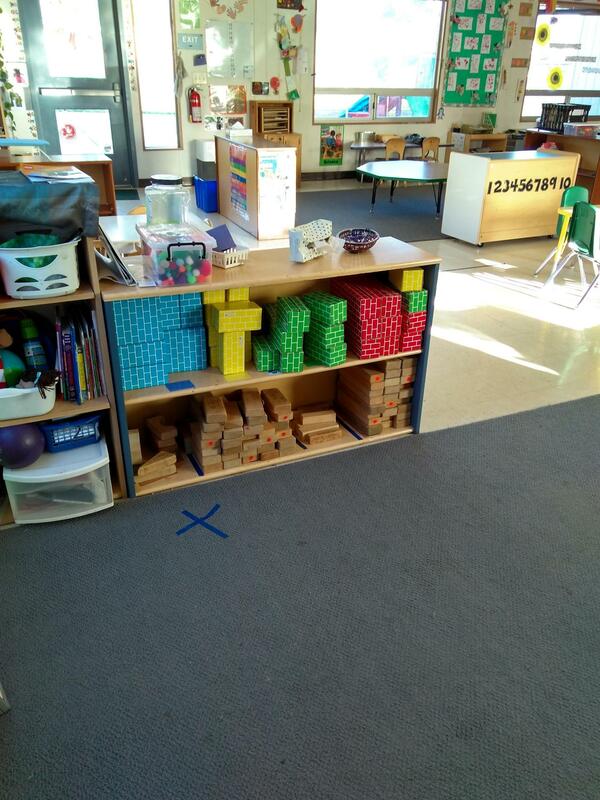 This area is rotated throughout the year into different themed areas. 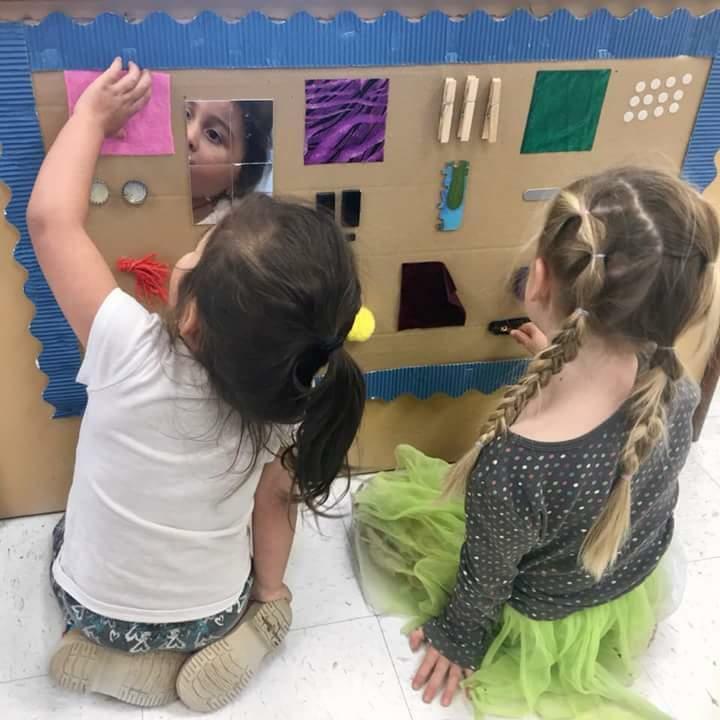 It might be a house, post office, laundromat, office, campsite, space station, doctors/vets office, fire station, mechanics shop, bakery, and so much more. 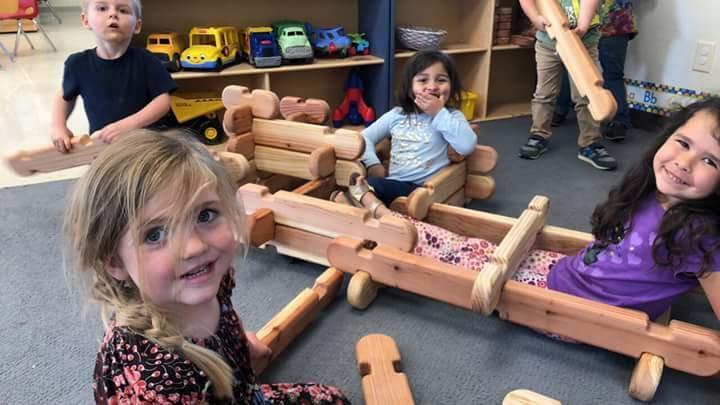 We use a variety of blocks that both link and stack to develop large motor growth, planning, and cooperative play. 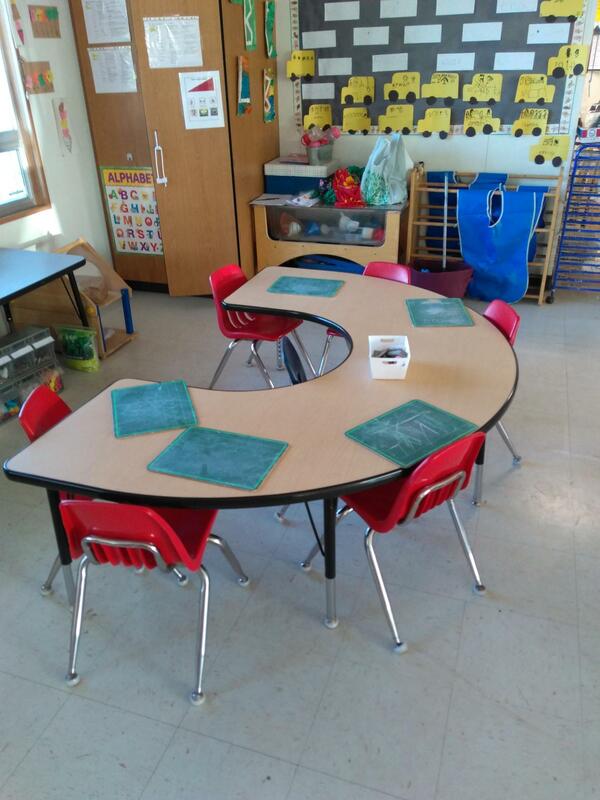 Besides snack and lunch we use the table area for small group activities. 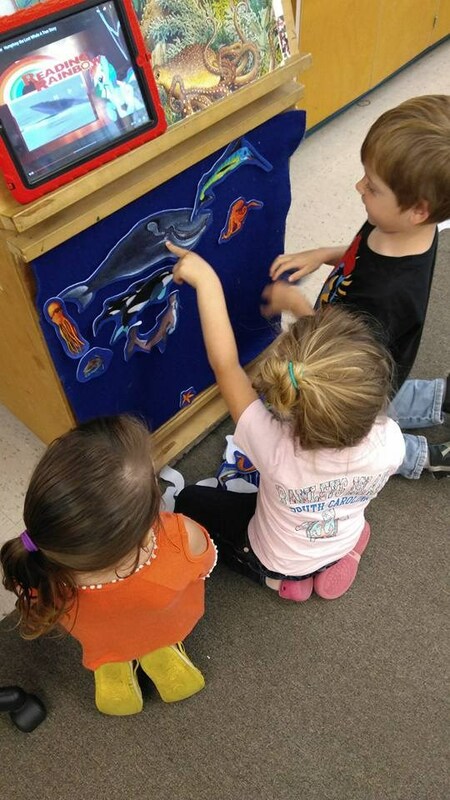 These activities rang in academic to creative play. 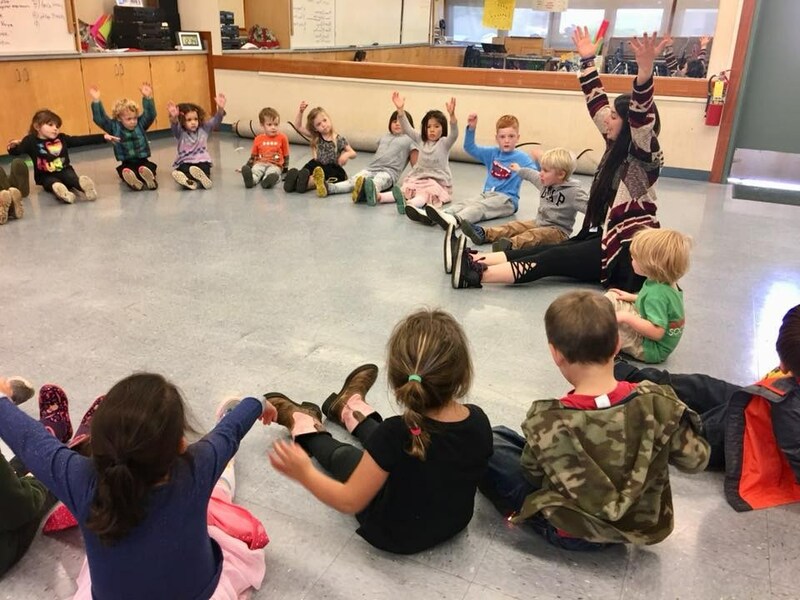 We have a variety of projects to engage a diverse group of abilities and interests. 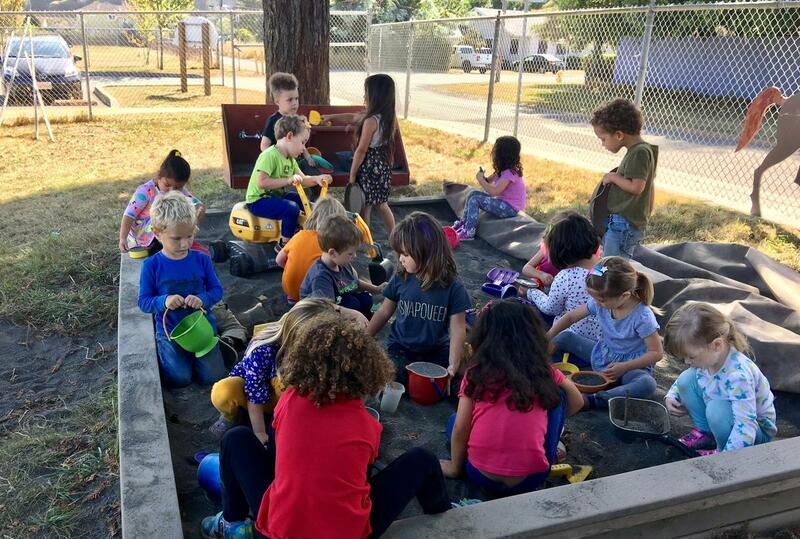 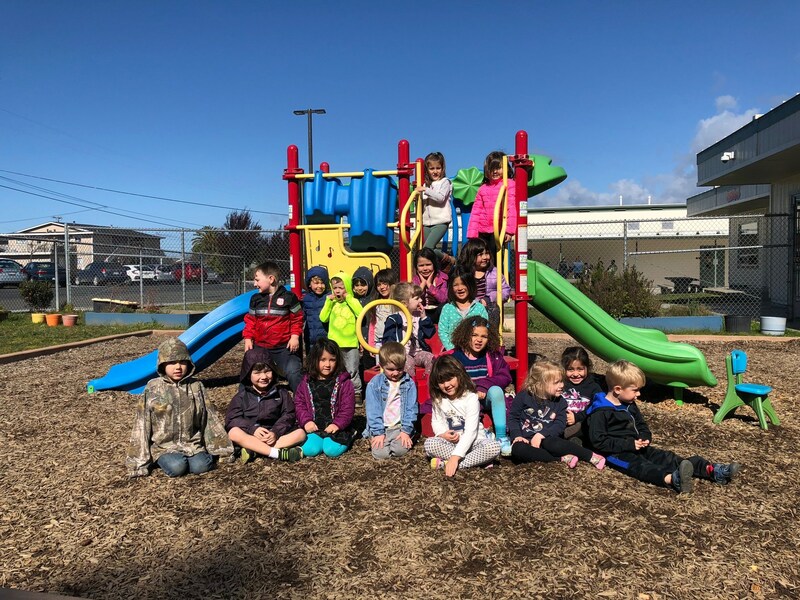 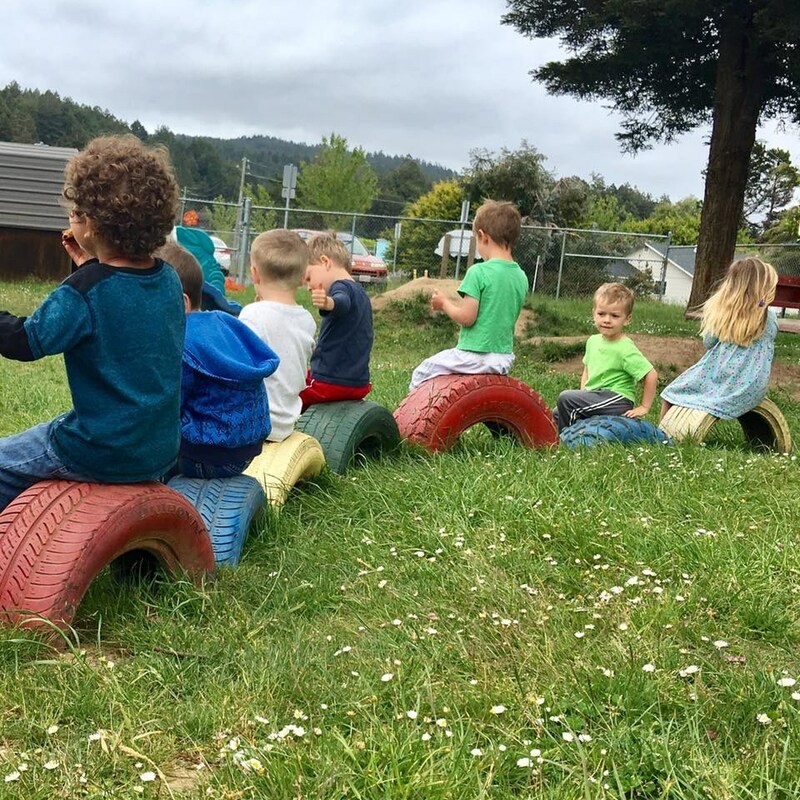 You will see climbers, garden, bike path, tires, green space, large sand box, and beautiful redwood trees that provide shade during outside play. 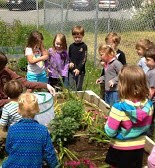 Most of all, you will see and hear child lead exploration, creativity, and FUN.